Fair Business Loans are delighted to announce that we have recently been added to the Alternative Business Funding website. 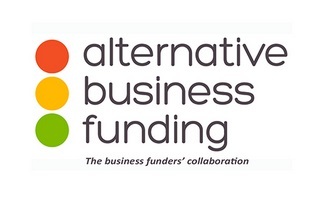 Alternative Business Funding features a growing collective of lenders of unsecured business loans who are pooling together to provide a broad range of options to UK businesses who have been unable to access traditional mainstream finance. The portal is quick, simple and completely free to use. To find a suitable lender of a small business loan, a business answers a series of questions and an innovative traffic light interface will then signpost the lenders most likely to meet its specific requirements. The business owner can then opt to make contact with the lender(s) of their choice. Alternative Business Funding is a positive step forward for the commercial lending market as a whole. In these times of increased competition among finance providers it represents a welcome and an effective alternative to traditional bank loans or asset finance. Moreover, the simple approach of its traffic light portal makes navigating the growing range of options transparent and straightforward. Fair Business Loans look forward to carrying out more funding for small business and help many more small businesses grow over the coming months with the support of Alternative Business Funding.